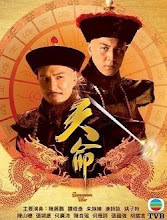 A story set during the Qing Dynasty that follows the power struggles between Heshen and Jiaqing Emperor. Dynasties rise and fall and emperors come and go. Heshen (Ruco Chan) is a public official who holds unparalleled power and wealth that even the emperor cannot outmatch. Jiaqing Emperor (Shaun Tam) is the ruling monarch only in name as he is even further away from the center of politics than a mere commoner. Within 28 days, a race to see whether the mandate of heavens will prevail in this war over succession. Filming took place in Hong Kong and Hengdian World Studios. Filming began in December 2016. The drama follows a format wherein every episode is one day. Ehe entire series will span 28 days in the life of the characters. It is one of TVB's seven dramas in celebration of their 50th anniversary in 2017. Let us know why you like Succession War in the comments section. Please also share these fun facts using the social media buttons below.